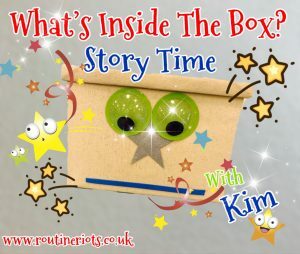 ‘What’s Inside The Box?’ Interactive story times with KIM – TODAY! 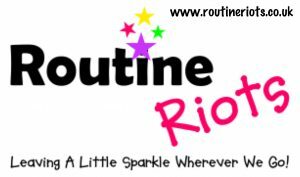 Each week is based on a different story and theme followed by an interactive session around the book with Kim from Routine Riots. We take a look inside the box to find clues, which lead us to the story! The session in very interactive and lots of fun, and includes dancing, singing with the ukulele, rhyme times, drama activities, music, puppets, parachutes, games and more. Stories can be from favourite, well known books or indeed Kim’s own stories that she has written. The sessions are aimed at predominantly 2-6 year olds, though siblings are welcome to join in the fun too! The cost is £4 for one child, £6.50 for 2 siblings. All children must be accompanied by an adult. Teas/coffees and Squash/water are available for a small donation. Booking is ESSENTIAL! Please contact Viables Community Centre directly on 01256 473634 or email office@viables.org.uk if you would like to come along for some fun. 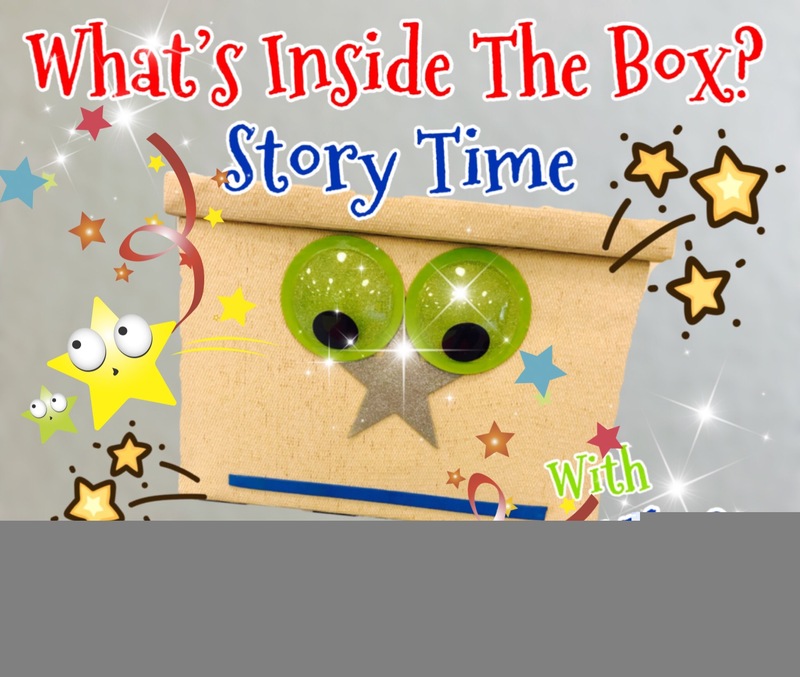 Calling all shipmates…….Join Kim for her ‘What’s inside the box?’ PIRATE story time. A 60 min interactive session based around the book ‘Helping Polly Parrot – Pirates Can Be Kind’ by Tom Easton and Mike Gordon. Find the clues within the box to discover the theme of the story. Poor Polly the parrot doesn’t have a home on board the ship and she’s expected to be a great look out. Find out what happens to her, does the ship crash? Get ready to go on a treasure hunt and bring a hearty set of lungs for some pirate singing. With games, dancing, fun and much more! Yaharrrrgh! Miss NHM has her Y1 Phonics test next week. Apparently it is a 5-10 minute check of words that is done with a teacher that is “known” to her. In the past week I’ve read LOTS of stuff about the Phonics test, what it involves and why it’s being done. I really don’t understand why the Department of Education feels the need to test 6 year olds on anything and that ANY child, under the age of 13 can be listed as having “failed” at anything. A great way to make the parents AND child feel like failures. Anyway, my understanding is the reason for the phonics test is to try to increase the number of children who read? I’m sorry, but am I missing something here? It seems obvious to me that the best way to get children to read is to switch off the TV and technology!! Just switch off the TV! Why do we insist on making things so complicated? Why do we have these overly complicated tests that cost a fortune to run, when we should be trusting teachers to do their jobs and parents to invest in their children by switching off the TV and encouraging them to read or listen to audio books? Personally, I had never heard of a digraph or trigraph before Miss NHM’s homework a few weeks ago. I understand that teaching techniques have changed considerably since I was a child but if I’ve managed to get through THE WHOLE OF MY LIFE without knowing what a “trigraph” is, then why is it so important that it be drummed into my daughter? Honestly, the more I see and experience about our current education system in the UK, the more I slap my head repeatedly. Er, so maybe a bit controversial and maybe a bit ranty too but that’s the perk of having your own blog! 😀 😀 :-D.
I know you won’t hold back but what are your thoughts on the Y1 Phonics test? 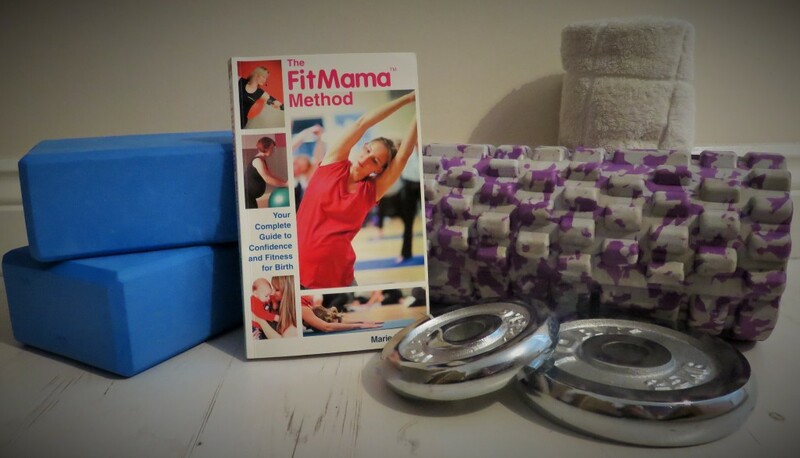 I would like to tell you a bit about what me and another local mum have been up too. Wendy and I have been working since November on creating a children’s story book based on a story Wendy wrote over a year ago. We have made her dream words on paper turn into a fab (if I do say so myself) children’s book called “The Boppypants and the pants that blew off”. On Thursday we received a order of 50 of our books and launched our website and Facebook page …. today we have sold out! And have a second delivery of 50 coming Friday!! This story is the first in a series of books we are going to be writing with the second coming out end of march hopefully. 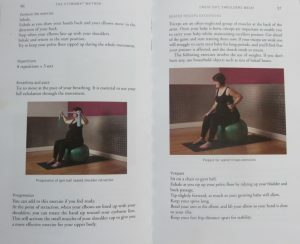 You will find images on both and a sneak reveal of the book on the website. NEW Family Story play Classes starting at Viables Craft Centre from Monday 7th November at 10 – 10.45am for children from 2-4years. We at Debutots love stories and want to bring your childrens imaginations alive with our unique interactive stories. Join us for our family story play class where we dip tiny toes into the world of stories, words and sounds.Children delight in a multi sensory blend of storytelling, puppets, bubbles and music. They are inspired every week with ,magical tales giving them the chance to share their own ideas and feelings as they creatively explore the characters, scenery and sounds together. Term dates 7.11.16 – 19.12.16 The last session of this term is our christmas party session. Come along and try Debutots for free for our special Halloween session at Basingstoke Discovery Centre. Join Fat bat and Skinny Skelly as they go to their own halloween party and find out that being different isn’t so bad after all! To keep up to date with all our events please like our facebook page Debutotsnewburyandthatcham. 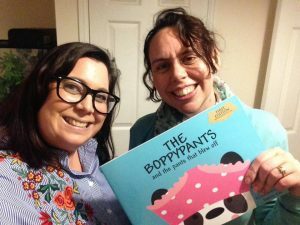 I discovered Usborne Books when my daughter was a baby and quickly fell in love with the That’s not my….series. I discovered that I could become an Usborne lady myself when I attended a home party then signed up on my daughter’s 1st birthday. 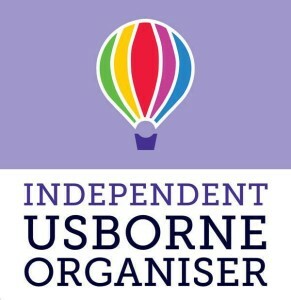 I initially joined to buy my own books at discount but after catching the Usborne magic 7 years and 2 more babies later I’m now a full time Usborne Team Leader! My biggest problem now is to fulfil all the requests for my time so I’m busy looking for like minded Mum’s to join my Team of organisers and help get more of our gorgeous books into the hands of children. I will mentor you and help develop your own business to fit in with your other commitments. 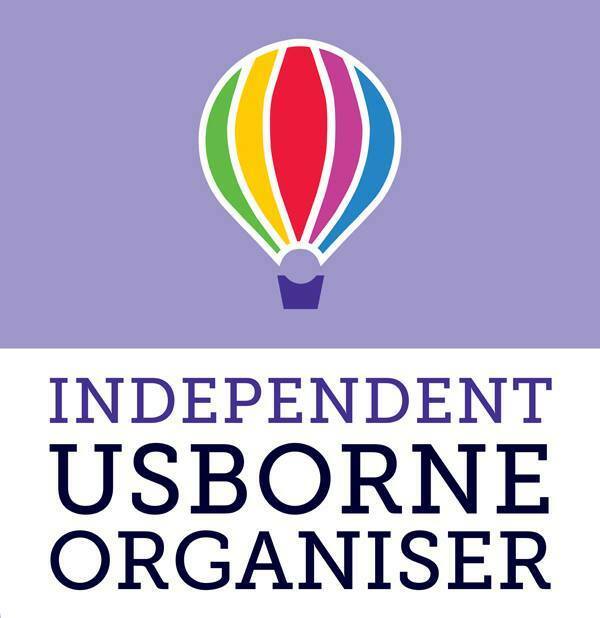 If you would like to place an order, host a party, book me for an event, join my team or simply ask any Usborne related questions please do not hesitate to get in touch. Books have always been important to us. We’ve made a concerted effort to read to Misss NHM as much as possible. Mr NHM read the Gruffalo to Miss NHM on the day she was born. When Miss NHM was very tiny I borrowed as many of the “That’s not my…” books from the library and purchased them from Nearly new sales and read them to Miss NHM. She also had a black and white book that a friend bought for her birth present which Miss NHM loved. Black and white books are supposed to be good for small babies. I have always been a huge fan of our local library and going to the library when I was on maternity leave and after was a regular activity for us. They have a great selection of books of wonderful variety. Plus, you can order books online for the bargain price of 50p which is much better than paying full price for a book. I’m very conscious that we have a small house and as much as we love books, they sometimes turn into clutter! It’s no secret that I absolutely adore Usborne books. When Miss NHM was six months old I bought the Apple Tree Farm box set from the Basingstoke NCT Nearly New sale (normally in March/April and October)) for £5 (total bargain!) and read them to Miss NHM every day. By 13 months old she could spot the usborne duck on most pages. I was amazed that she could do this as such a young age. The first page of each book in this box set is always the same and “Rusty” is still the name for all dogs for Miss NHM! Lol. When Miss NHM was 15 months old I purchased another Usborne box set called the Phonics Readers from the Basingstoke Original Nearly New Sale (next one is this weekend!). I also continued to read the Gruffalo to Miss NHM and have perfected the voices of the characters. Lol. When Miss NHM was 17 months I purchased “Monkey Puzzle” by the same team as the Gruffalo and this has also been a favourite book. Mr NHM has some favourites that he reads to Miss NHM such as Bear Snores on. In Miss NHM’s bedroom she has a bookshelf with books that are hers and that she can “read”. She went through a stage of tearing the pages in her books which really irked me, but that stage didn’t last long and the books were repaired. I now often find her asleep in her bed surrounded by her books. She reads them our loud to herself and to her bedroom toys. It’s very important to me that she has access to her books in her room so she has control over what and when she reads. When Miss NHM was 2 3/4 I persuaded her paternal Grandparents to get her the Very first Reading boxset from Usborne for Christmas (her only present from them). It was on special and priced at £30 for 50 small books. She absolutely LOVES this box set and is now “reading” the stories on her own. She memorises them so fast it amazes me. The books are very simple stories that progress in difficulty but range from classic stories to ones from around the world. Miss NHM’s favourites at the moment are “The Phoenix and the Dragon” a Chinese story and “Old Mother Hubbard”. I recommend finding your local Usborne book lady and asking her to email or give you a copy of the promotional leaflets that are released every season. You can find some wonderful bargains on these leaflets. The other evening I caught Miss NHM with her monitor in bed, with the light on, using it to read one of her books to her teddys. I was SO proud of her! Lol. I’ve tried to read to Miss NHM every day for at least 30 minutes, I know this is a perk of not having a TV and of Miss NHM being an only child, but if I do anything for my daughter, I want her to have a love of reading. A love of reading opens up a world of education and possibilities. Below is a list of other favourite books that we have, that you also might enjoy reading to your little ones. I encourage you to read to them as soon as they are born. You never know what they will absorb and where it might take them when they are older. I LOVE Usborne books. I was bought up on them and still have my first cookery book and gardening book, both of which are Usborne. If you’ve never seen an Usborne book, I totally recommend looking out for them. I love that they have books for each age range and I love the baby books, especially the bath books. I’m probably going to shoot myself in the foot with this, but we always scour every baby and children market or nearly new sale for cheap Usborne books. We picked up a bargain with the Apple Tree Farm books for £5 and the Phonic’s Reader books for £10. I’ve been reading both to my little one since she was 10 months old. She could spot the duck on most pages by the time she was 14 months. I also love the children’s story books. For older children there are a huge variety of subjects. We bought the first dictionary for my little one and she’s loved it since she was tiny. I really hadn’t expected her to pick if up, but she loves sitting there and pointing to the pictures and saying the words. When she was tiny I would point to the words and she would try to say them. I’ve recently acquired the Spanish version of the first dictionary, so I can practice my Spanish whilst my little one practices her English! 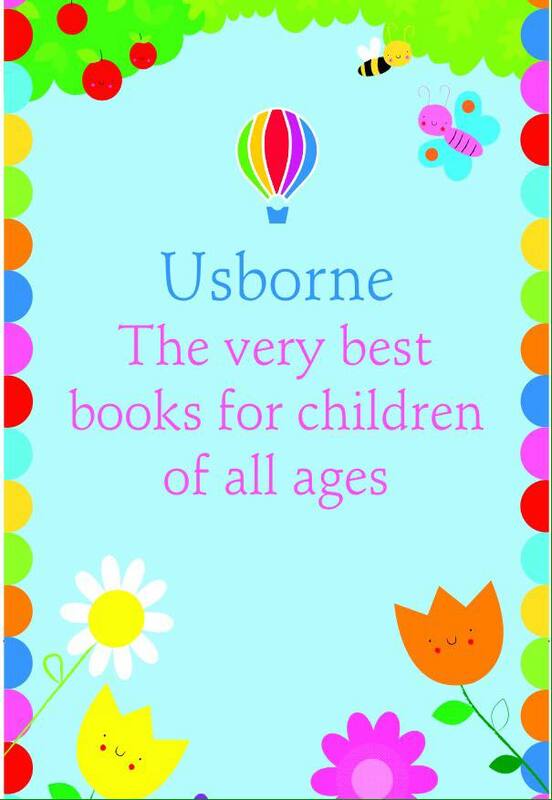 The Usborne team don’t advertise publicise what they do, it’s all done via word of mouth. There are several Usborne “lady’s” in the area. Each month there is a deal on the books. 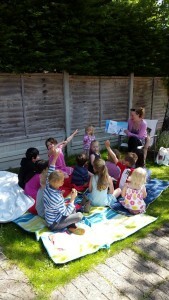 One of the best ways to get access to the books is to ask one of the lady’s to come and do an Usborne party for you. I loved these as a child as it meant my Mum got the yummy chocolate biscuits in for the other Mums! I really recommend having a look at the Usborne books. 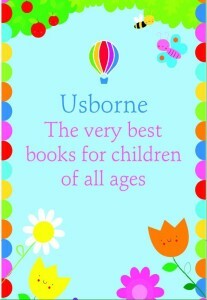 Once we’ve moved house and have some more space, I’m really looking forward to having an Usborne Party. It’s a great opportunity to catch up with my friends and have a good nose through the books and get some birthday and Christmas presents sorted.